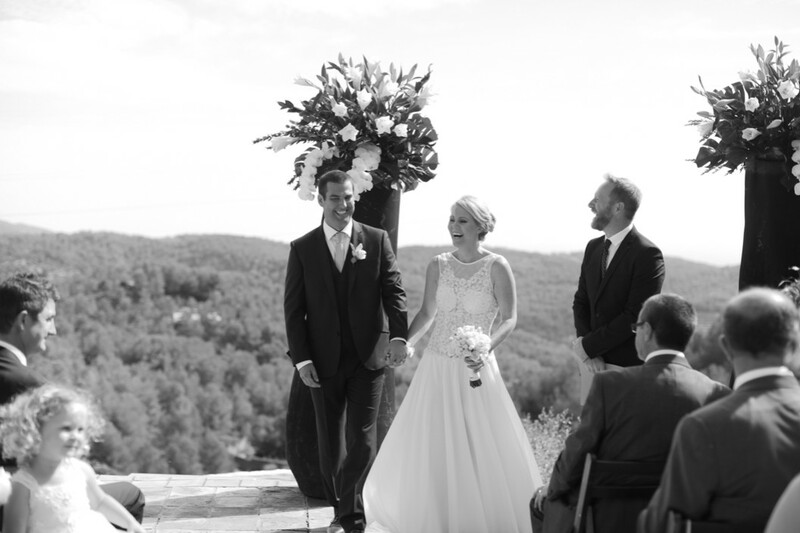 The wedding man is a very experienced multilingual wedding celebrant based in Barcelona who will make sure that your ceremony is as unique as you and your partner’s love story. Well dressed and well spoken the wedding man will offer you useful practical advice and creative input on how to personalise all aspects of that special “I do” moment on your big day. This includes helpful suggestions on the infinite range of traditional and modern ceremony styles and key factors like the staging, the music, the readings, the vows and the exchanging of rings. Whether yours is a huge wedding or a simple elopement or you prefer more informal to really formal the wedding man provides a professional start-to-finish service which guarantees a ceremony that you and your families will treasure forever and beyond. (Most ceremonies last between 20-30 minutes). 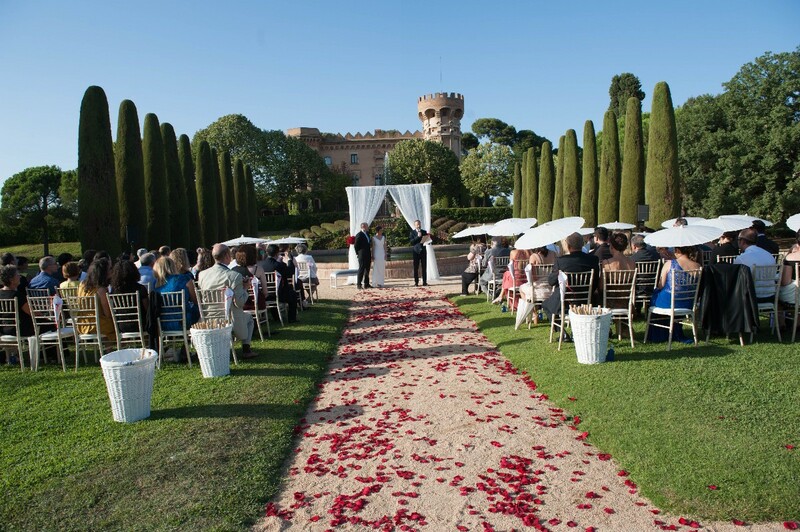 The wedding man generally officiates at weddings at a number of jaw-droppingly stunning venues in and around Barcelona and the Catalán coast. It’s the area’s oh-so-romantic Mediterranean backdrop which makes it an increasingly popular host on the international destination wedding circuit. 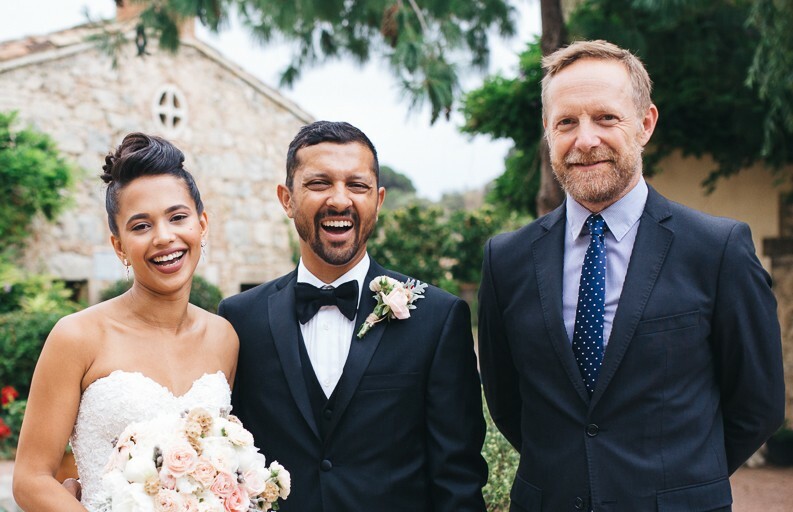 Having so far officiated at weddings for couples from over 15 different countries, the wedding man is a confident linguist who speaks English, Spanish, French and Catalán. He is therefore able to cater for the diverse linguistic requirements of many multicultural couples drawn to the area for their nuptials. The wedding man looks forward to hearing from you soon as you start to plan your wedding in Spain! 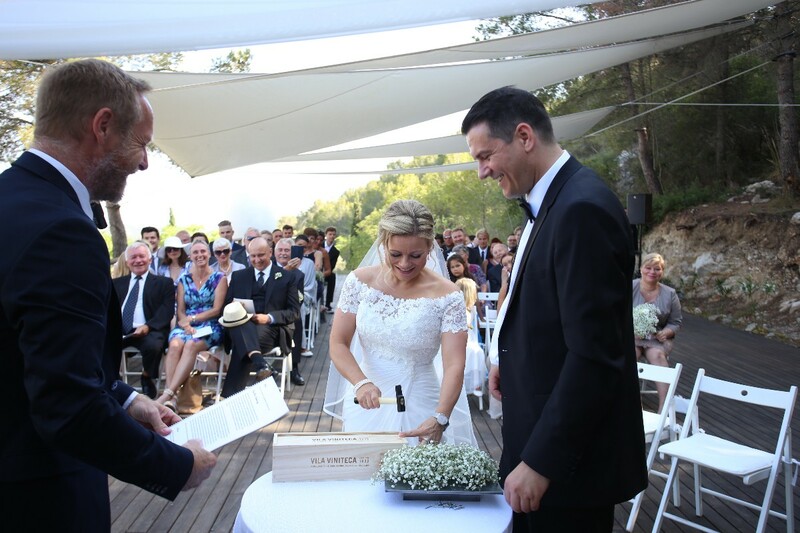 The Wedding Man is an international wedding celebrant in Spain servicing weddings throughout the local area including Barcelona and beyond. 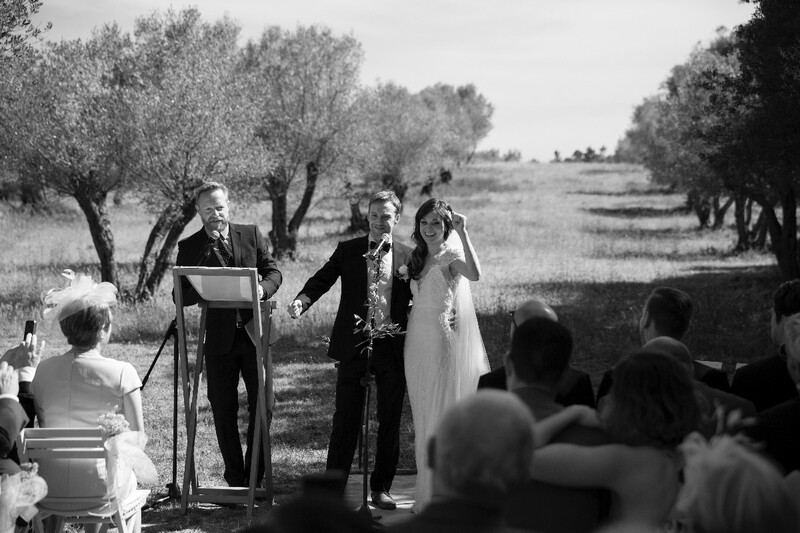 The Wedding Man is an experienced and extremely professional multilingual wedding celebrant who has been part of the international destination wedding industry since 2012 specialising in non-religious destination wedding ceremonies in Spain. We just wanted to take some time to thank you for the lovely ceremony you performed for us. So many of our guests have commented on how much they enjoyed the ceremony and how memorable it was. The little anecdotes you put together captured us a couple perfectly - you made the ceremony both touching and fun which is just what we wanted. You also made us feel really at ease so we both felt confident reading our vows and exchanging rings. We loved every minute of it so thank you!! James was wonderful. He was easy to communicate with before and full of lots of great ideas for the ceremony. He has a great sense of humour and incorporated our relationship stories into the ceremony to make for a really special occasion. The day was full of laughter. Everything about the day brought us closer. We can’t thanks James enough for our perfect wedding ceremony - thoughtful, engaging and funny whilst also being full of love! Thank you also for all of your help and support on the lead up to our wedding day, you played a huge part in making everything perfect. Thank you again! 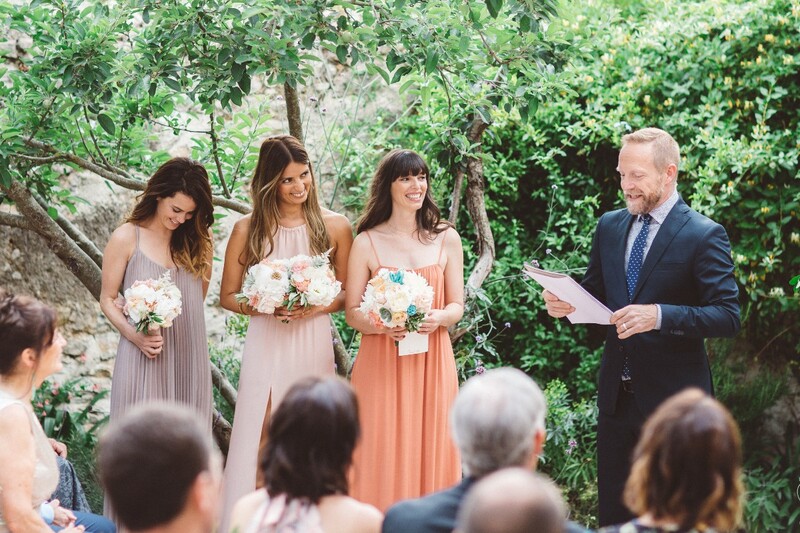 The Wedding Man was just beyond amazing with our litte ceremony in Barcelona. My husband and I were fed up with the expensive cliche that weddings have become where we live, so we decided to cancel everything and go to Spain for our wedding and honeymoon- and it was the best decision we could have made. Through every step of the process James was there, the communication, the planning, venue picking, the last minute ‘bride panicking for being late to her ceremony’, James was there. He just goes above and beyond, makes you feel like you’re old friends, and gives your wedding that little something extra. My husband and I both walked away going “I love him and miss him already!” You can’t go wrong with The Wedding Man. The Wedding Man - what to say? I do not have enough superlatives to describe our interactions with The Wedding Man, let alone the actual ceremony. He was such a joy to have at our wedding. All interactions with him prior to the wedding were fantastic and very enjoyable - he made to process of arranging the ceremony so easy for us. He was the consummate professional however gave a personal touch to the day. He was funny when appropriate , and made it the ceremony of our dreams. Speaking in flawless Spanish/English fusion, he involved the mixed nationality crowd from start to finish - truly engaging and brilliant. Reciting tales of our relationship brought tears to our eyes. The Wedding Man was one of the highlights of our wedding with all guests blew away by his brilliance, and we would totally recommend him. An absolute genius. James was absolutely wonderful. He has such a lovely presence. He’s very funny and made us feel comfortable with him before we had even met! And when we did meet, he was even better than we could have imagined. He’s a remarkable speaker. He spoke at our wedding in English, Spanish and Catalán. He made a beautiful ceremony, speaking so eloquently but funny too. Always so inviting and professional. Everyone commented on his service at our wedding, they all loved him. I highly recommend hiring him!! James was phenomenal! We decided to get married exactly one week before our trip to Barcelona, and James prepared a beautiful ceremony, as well as hooked us up with a fantastic photographer! We could not be happier. James was extremely flexible, and he even entertained our crazy notion of being married in one of the most "touristy" of locations: Park Guell. 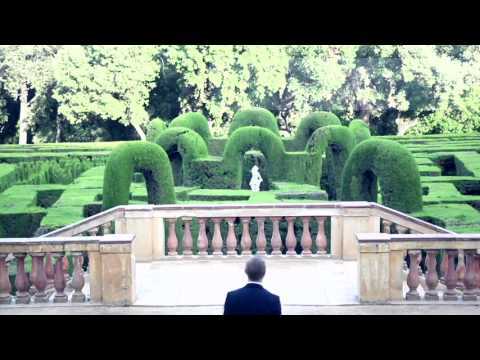 If you're planning a destination wedding in Barcelona, we highly recommend The Wedding Man! James was just a right man on the right place! The ceremony led by him was very special and emotional. We didn’t exactly know what James is going to say about us during the ceremony but he got to the point! He made our guests and us cry and laugh at the same time! Hi did not have any problem to perform the ceremony in English and Spanish. Also at the same time James got to say corectly a few phrases in Polish. James made this special moment very personal and unique also by dedicating his time to meet us and get to know us better before the wedding. He helped us a lot with detailed planning and preparing our vows and ceremony plan. He came up with some ideas which gave us imagination about the best ways we could build our dream ceremony. We are very happy that we had the pleasure to say ‘’I do’’ with The Wedding Man. We recommend James to everyone. Maja, Antonio (y Sonia!)... WOW, many thanks for those very kind words. It was a great honour and privilege to be part of your fantastic multicultural, bilingual celebration. Thank you for trusting in my capabilities to create the ceremony you wished for. Congratulations for both looking amazing on your big day and for choosing such a great venue to host your romantic ceremony. Thanks also to your respective mother and father whose moving speeches made the ceremony so emotive. Many, many thanks again for choosing the wedding man and all the very best now and forever. Un abrazo/Hugs/U?ciski!!! 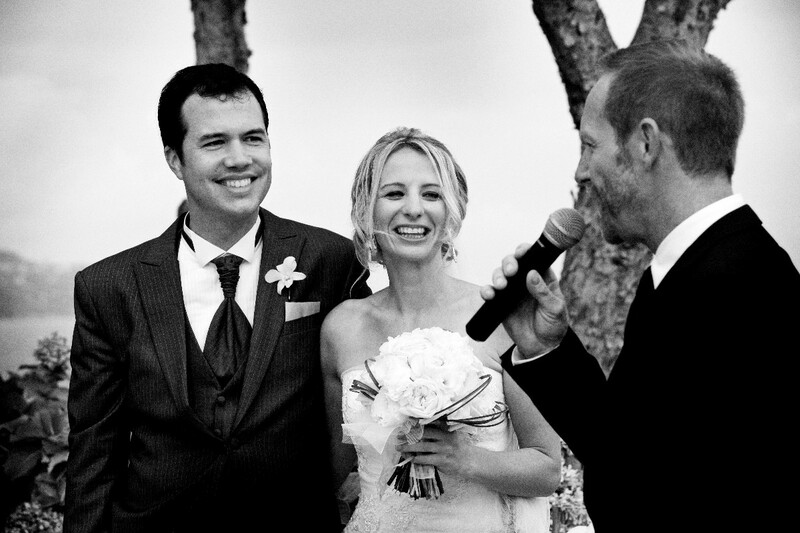 James perfectly understood how to make our ceremony classy and at the same time funny and relaxed. He found the right balance. Everybody loved the ceremony and the Wedding Man...exactly what we were hoping for! We can highly recommend James and wish him all the best. As a couple who have been together a very long time and tend to shy away from overt public displays of affection, we were apprehensive about a big ceremony. There was no need to worry, James captured the mood perfectly. He invested time in getting to know the both of us, going over and above to understand what we wanted from a ceremony (which we didn't even know!). The anecdotes and stories that he had gathered about us and weaved into the ceremony made it personal and relatable for our friends and family. All who were present commented on how excellent and fitting the ceremony was for the oaccasion. So, James comes highly reccomended from all those who saw him in action: bride, groom, friends and family alike! James was just fantastic! Our wedding ceremony was so special and personal. All of our guests were commenting on how amazing and unique it was. He was a pleasure work with, very helpful and approachable. We had lots of contact with James before our wedding day, meeting up in Barcelona, Skype calls and emails. This really put us at ease and made the ceremony run smoothly, Thank you so much! 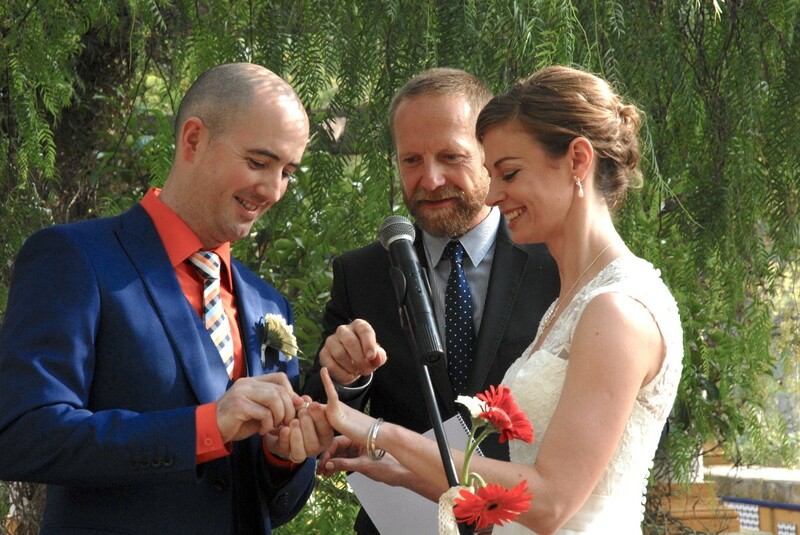 We loved having James as our wedding celebrant. We wanted something relaxed and not too formal and that’s exactly what he delivered. James really personalised the service and the light hearted touch was appreciated by us and our guests. Several guests commented on how much they enjoyed the service, one even saying it was the best they had ever been to! Thank you James! We also valued how good the communication was in planning for the event, James quickly repsonded to all of our queries and filled us with confidence. We enjoyed every minute working with him and would highly recommend him to other couples. James was excellent, super friendly and put us at ease straight from the beginning. Witty and funny and relaxed and informal as we wanted. It was perfect. Thanks James! Full score on every point might seem like an exaggeration, but it really isn't. We came across James (i.e. The Wedding Man) when looking for wedding celebrants online, and quickly realised that this was a sure bet. From the first mail, quickly followed by a Skype chat, he demonstrated professionalism and enthusiasm, and willingly helped us with ideas and suggestions for the ceremony. The ceremony itself turned out perfect, and he easily brought out both tears and laughter from the guests. There's really not a single thing we would've wanted different, and the ceremony would not have been the same without him. He was better than we expected! The best there is! Ten stars quality! We cant thank James enough for his professionalism, and all his effort in advance of our big day in Barcelona. We had the chance to meet him before the wedding took place for a quick cup of coffee, and from the moment we met we just knew it, this guy is going to marry us, definitely! James is a warm, calm and friendly person, a person that when you meet, you feel like you've known him your entire life! Such a gift. Like many other couples we had a bunch of questions up front, and he always reply fast to e-mails. James: once again, we are so humble and thankful for the special moment you gave us when we said: I do... in our city of love, Barcelona. To readers of this review: If your searching for someone special that will give you that little extra touch on your important day, then this is THE man. Look no further. Book him, before someone else does! All the best, Preben Y Cecilie. 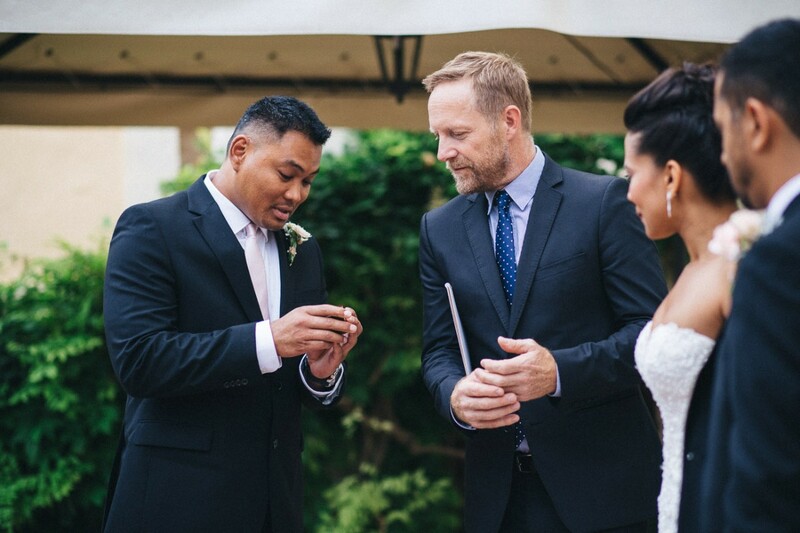 James was the perfect officiant for our wedding. His multilingual skills were seriously tested in our trilingual ceremony, and the mostly unilingual wedding guests were all very impressed. Right from the first Skype call with him we knew that we had made the right choice. His sense of humour matched well with our own, and yet he was always professional when it came to the serious matter of the preparation of our ceremony. In the weeks leading up to the ceremony he would check in from time to time to try to prevent us from making classic blunders ("Got those vows written yet? Huh?"). On the wedding day itself, James stepped up to the plate in a big way, re-arranging the venue to provide a better backdrop for the photographer, and mingling effortlessly with the very disparate guests. The ceremony that he had prepared was lovely, and perfectly captured our joy of life and our joy together. We didn't ever second guess the decision to take on James as part of our "team" - and would highly recommend his services. 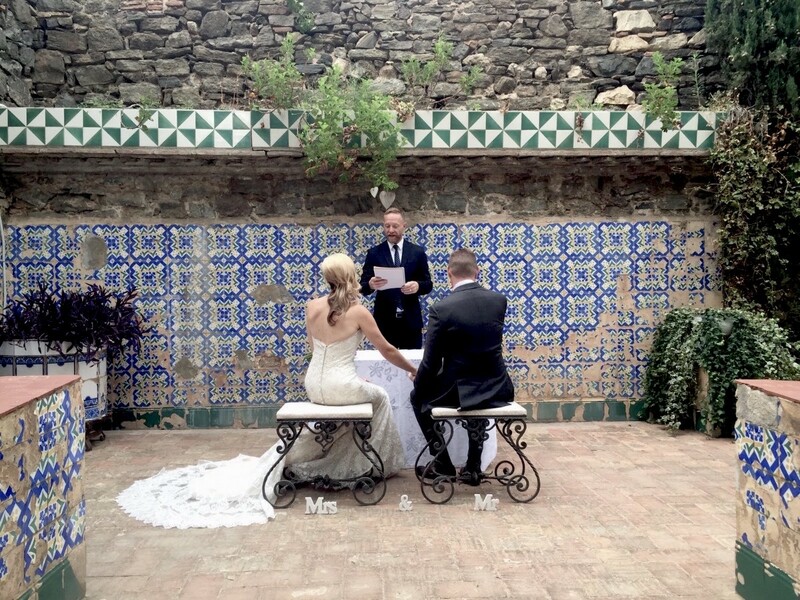 James performed our ceremony in Spain (we live in the UK). He truly made everything so easy and smooth right from the first conversation. We had a brief chat about what we wanted, he provided some formats etc. for us to look over and a questionnaire which we filled in about each other. On the day he enhanced an atmosphere of calm and fun! The whole ceremony was perfect and our guests haven't stopped commenting on how good James was! We are so grateful to have had James officiate our ceremony. His support leading up to the big day was exceptional: chatting over skype to get to know us, and meeting with us to assuage any nerves about the wedding. James offered us so much guidance on how to put a ceremony together, but very much allowed it to be our own, with plenty of music and personal stories included. On the big day, James was his usual charming self, and he did an amazing job at every stage of the ceremony. He is just a wonderfully sincere, funny, and charming man, and that comes across so clearly in his work. Thank you James! Hello Cára & Eoin - many, many thanks for that review; your kind words made for real a-goosepimpling reading. That and the fact that you were so happy with my services is great to hear. It really was a very memorable romantic, fun-filled, sun-kissed and musical ceremony and I am very honored to have been a part of it. Many thanks again and all the bestest! James made our wedding ceremony a moment we will never forget!! It was a pleasure working with him for our big day. He is very professional and charming. The ceremony had the right mix of serious and personal. 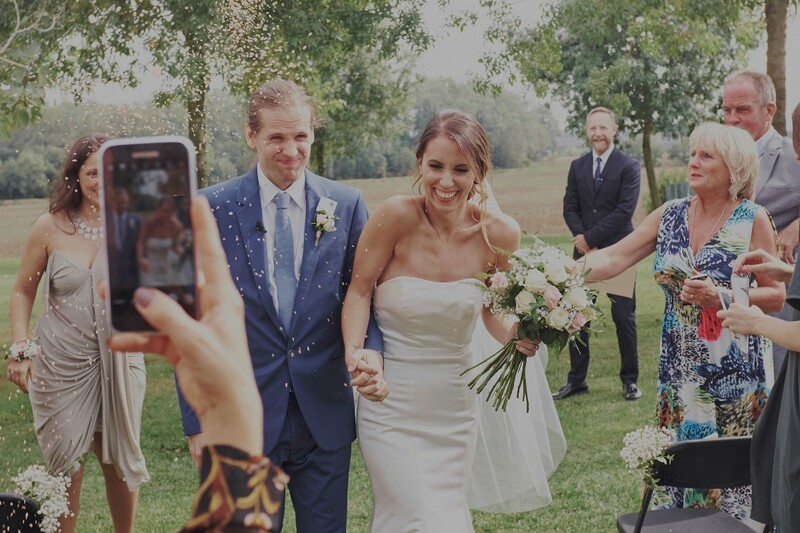 As we are both from different countries it was important for us to make everybody feel part of our special moment and James managed this perfectly, he spoke French, English, Catalan and a bit of Dutch. Hello Jiska & Gabriel - many, many thanks for your very kind review of my part in your ceremony. Much appreciated. Wishing you all the best... "dank je / merci / gràcies / thanks", James PS: My regards to all in Nijmegen, Holland's oldest city. Hello Eva & Wijze oude uil! - many thanks for those warm generous words. It certainly was a very memorable sunny day in the country amongst all your smartly dressed family and friends at the spectacular La Tria. A particular high point was your vow-sharing moment - even though I understood almost nothing of the Dutch you spoke, it was clear from the look in your eyes and the expression on you faces that you really got to say what you had been waiting to say. Many thanks again to you and all the best for you, Zoe-Lynn, Luca & Xavi now and forever! Both Megan and I work in London so our first meeting with James was over Skype from Barcelona. We instantly decided James was a great fit for us and met with James on our second trip to Barcelona where we just ran through some details of the big day and some ideas about the flow of the ceremony. James provided us with a template and some ideas for vows - one of the many things we hadn't thought about. He also asked some questions to get context of us as a couple. On the days itself James was was excellent. The tone of the ceremony was ideal with a mix of humour, love and even a Brexit joke was squeezed in. Feedback from the guests, a mix American and UK citizens was very positive and everyone appreciated the relaxed conducting of the ceremony under the Spanish sun. Thank you James! We are delighted to recommend James as the celebrant for your wedding. We had a Spanish/Irish wedding in Catalonia in July 2017 with neither sides guests understanding the other language. We couldn't figure out what to do about this and then we came across James website and everything was fine from then on. His preparations beforehand are excellent and the day itself was perfect. 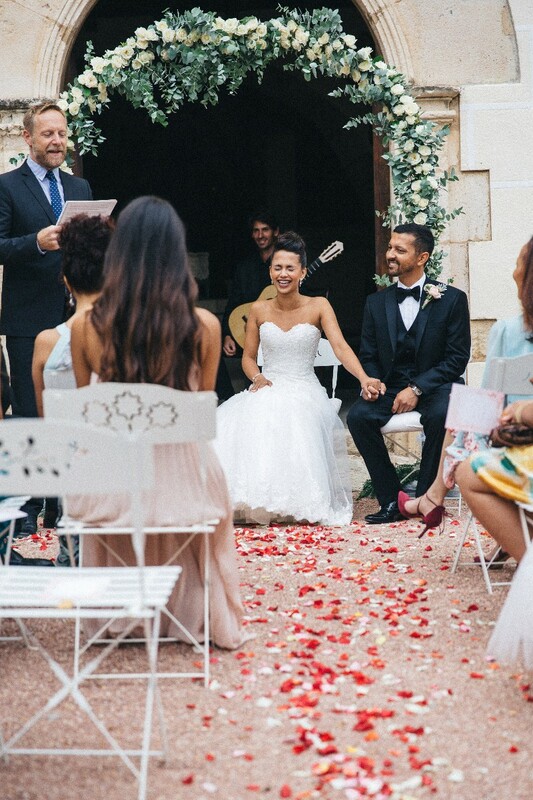 James conducted the ceremony perfectly, switching from Spanish to English at ease, allowing everyone to feel included. We received a lot of compliments from guests on this. 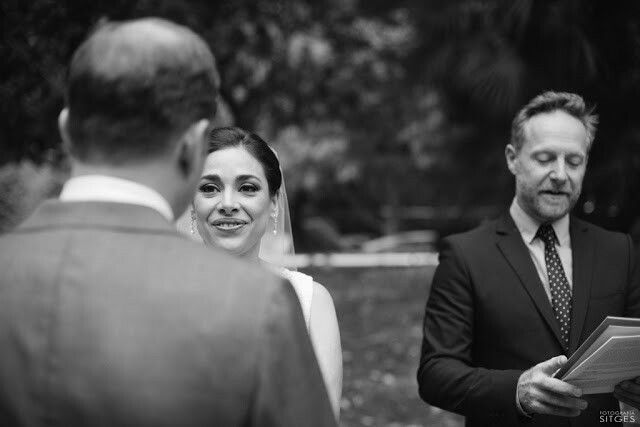 James is professional, funny & engaging and we would recommend him to anyone getting married in the Barcelona area, even if you don't need a multi lingual celebrant. Sonia & Conor - thank you for those very kind remarks on my celebrant services on your big day. I'm so happy we managed to side-step the rain - amazing it let off just for the ceremony! Wishing you all the best... next time you're in Terrassa, give me a shout! We met James long before our wedding in Spain and from the very beginning he put our minds at ease with his easy-going charm. He kept in touch throughout our wedding planning and took the time to meet us in Barcelona twice to discuss how we wanted our ceremony to work. 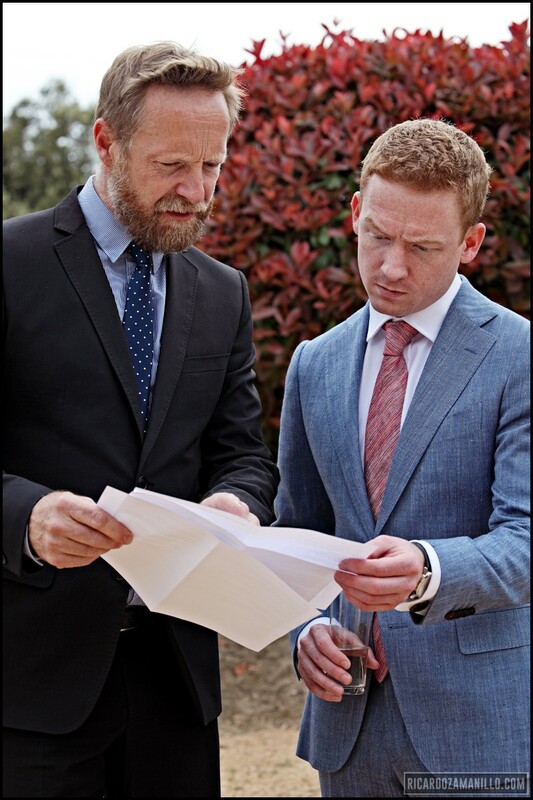 James officiated our wedding in May 2017 at Villa Catalina, Sant-Pere-de-Ribes. The setting and weather were perfect and James didn’t disappoint either. He immediately allayed any wedding day jitters for the groom whilst waiting at the end of the aisle, being calm, collected and offering advice on what would happen. Once the ceremony began he really came into his own and gave a great introduction and history of the bride and groom. James was assured and amusing in the right places throughout which led to numerous comments from our guest saying how good he was and what a great celebrant we’d chosen. We’d definitely recommend James to anyone getting married in Spain and we’re so happy he was able to be a part of making our day so special. Thanks James! 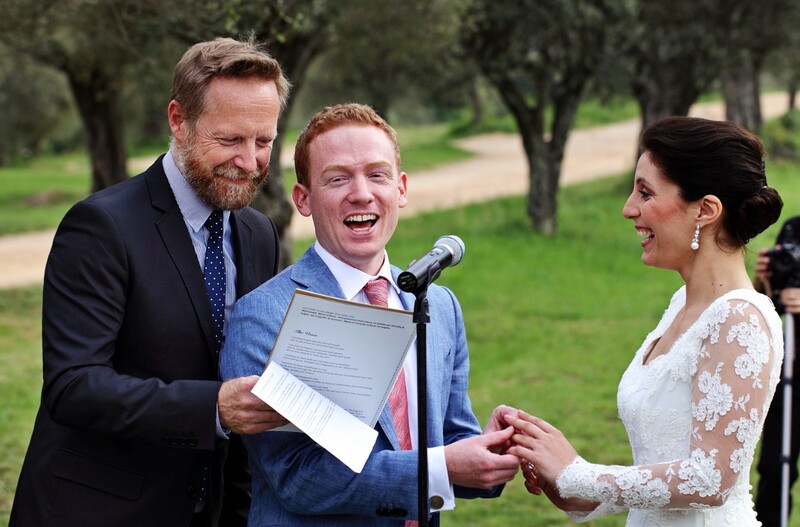 We cannot praise James enough, he was the perfect celebrant for our relaxed wedding in Spain. Taking the time to not only Skype us, (we live overseas) but also meet us in person before the big day, James got to know us and ensured he understood what type of ceremony we wanted. For us, a relaxed fun filled day was the aim, and James' ceremony kicked it all off perfectly. His relaxed demeanor immediately puts you at ease, and his enthusiasm for what he does makes you even more excited :) We had SO MANY guests comment on how great he was, and what a personal, humorous yet sentimental ceremony he gave. Should we ever renew our vows we will be contacting The Wedding Man! When planning a wedding you tend to focus on the parts you think will add value; the venue, the caterers, the band, but you can't appreciate just how much value a good celebrant can bring to your day and James is a great celebrant. From the first meeting James showed a genuine interest in us as people and our relationship and through this he was able to provide us with a touching, funny and professional service that got our already special day off to the perfect start, he even helped us find a singer for the service. To have all our guests come up to us afterwards and tell us that was the best service they had seen is testament to the time and effort James put into our day and is the strongest recommendation and best compliment we can give. James provided fun and laughter to our wedding celebration. He is a bilingual speaker which was perfect given we have family speaking both English and Spanish. We received many comments from the guests about James, and his sense of humour. This was exactly what we wanted, people to enjoy the setting and the day and to be relaxed moving forward. 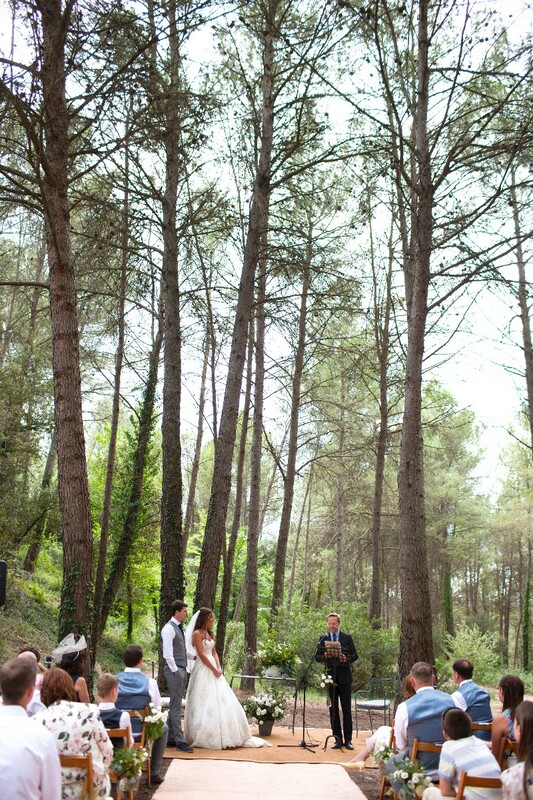 I would highly recommend James if you are planning a wedding in Barcelona or the nearby area. Having James as our wedding celebrant was the perfect choice! He met and exceeded all of our expectations! He took the time to get to know us and conducted the ceremony with such style and grace! We highly recommend him to anyone who wants a personalized touch to their weddig ceremony! Right now, you are planning your perfect wedding day as you search through every celebrant or officiant, and reading countless reviews- but let me give you assurance, you can stop here. I cannot say enough great things about James The Wedding Man! Honestly, after meeting James via Skype and instantly connecting with him, there was no question we wanted him with us on our wedding day. It turned out to be a fabulous decision. James is witty and sentimental at the same time while also being professional and organized. James guided us through the process and sent helpful inspiration along the way. 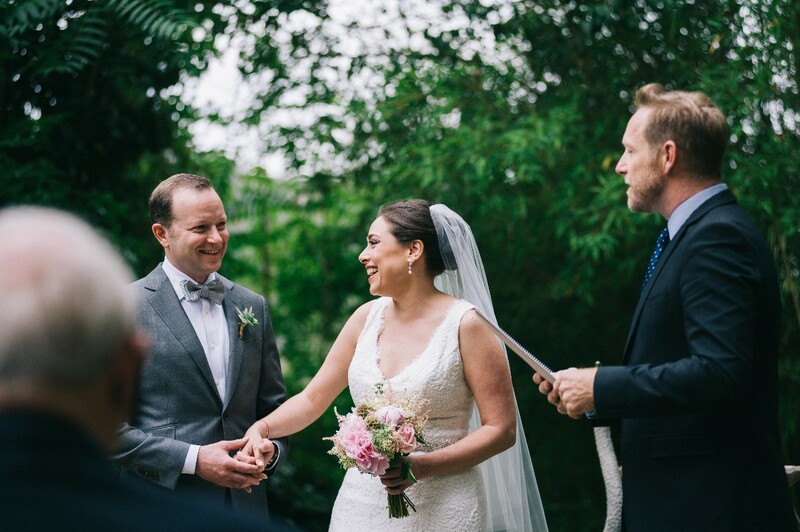 We were so happy Flutter Magazine shared our wedding ceremony and included a photo with the best officiant we could ask for. Thank you James from the bottom of our hearts! James was a last-minute celebrant, recommended by someone who needed to cancel at short notice. And we couldn't have been happier! From the moment we spoke to James via Skype, we knew that we were in good hands. Personable, warm and approachable, he was really quick to understand what we were like as a couple and what we needed from a celebrant. 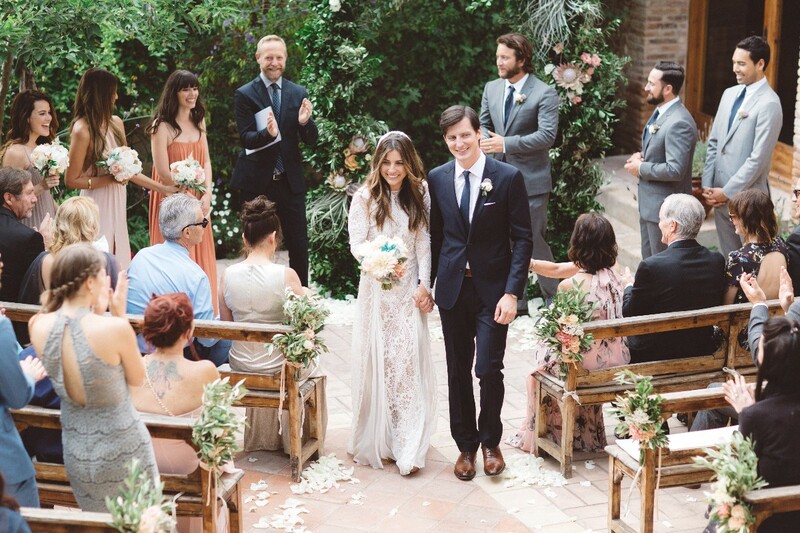 He is extremely professional and led our ceremony beautifully, but it was his open and relaxed style that meant we shared in a celebration of our relationship, not merely a bland service. The ceremony was personal and perfectly tailored to our needs - in fact many of our guests commented on just how 'us' our ceremony was. Getting the right celebrant at a destination wedding is so important, and we are extremely grateful that James made our special day memorable and unique.